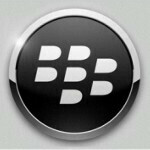 The BlackBerry PlayBook 4G tablet is not the only thing that RIM is expected to release in the near future. There is a software update for the tablet incoming as well. Labeled as BlackBerry PlayBook OS 2.1, it adds new features, most of which take advantage of the device's cellular connectivity, and makes its initial setup a more straightforward process. 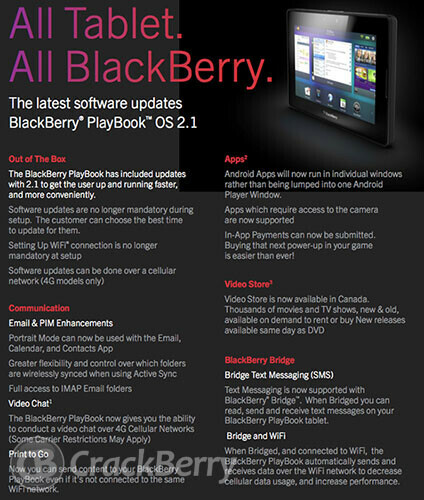 The leaked document does not contain any clues as to when the BlackBerry PlayBook 2.1 software update will be released, but it won't be surprising if RIM makes it available alongside the 4G-enabled PlayBook tablet. gotta love blackberry... i hope that andriod apps are really not laggy and hanging up on the device! and i hope that they add a dedicated android icon to access the play store... :) but im still hoping that developers will let there apps be on all OS like instagram and temple run!! i hope they could make their app available on WP8 and BB10! im gonna love if instagram's gonna make one on WP8! and if nokia will release a WP8 with pureview... awww HEAVEN!! !